Thanks for checking out our Fall Football Fling Thing Big Board Fundraiser! 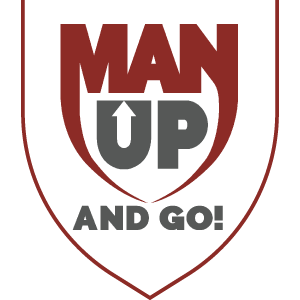 We’re excited at all the work God is doing through the ministry of Man Up and Go, and we’re inviting you to generously participate with us in this work. Lots of gift cards and baskets and more! We are inviting those who cannot attend or who live out of state to prayerfully consider choosing a box (or two or three!) below in commitment with and solidarity of our vision to one day see a world where there is A Father for Every Child. Our prayer is that you would make this vision your own, and together we can fight for the fatherless around the globe and here at home. Pick a box and make a suggested donation according to the corresponding dollar amount, or make a pledge to fulfill by the end of 2019. Once you donate or pledge, that box will be marked “Taken” and is no longer eligible. For each dollar donated you will receive an entry into the “Drawing by Chance” for all of the prizes available. Drawings will be held on the evening of November 24 according to the schedule below. You are not required to donate to receive an entry. For a list of the complete rules, visit the bottom of this page, and thank you in advance for your support! These undesignated gifts are the most crucial for any not-for-profit organization as they allow for the greatest flexibility in meeting the most urgent needs. A $36 donation is representative of the average yearly income for a Ugandan single mother or widow in our women’s Vocational Training Program. A $45 donation covers one-month’s expenses for a child in our Child Sponsorship Program. A $100 donation equips one man for one month in our Authentic Masculinity Program (which includes his micro-loan). The Fall Football Fling Thing Big Board Fundraiser [hereafter “FFFTBBF”]is operated by Man Up and Go, a legal 501c3 domiciled in the State of Missouri (EIN #47-1933529) and operating as a foreign corporation in the State of Florida (F16000004102), whose principal place of business is 2650 S. Francis Drive, Brookline, MO, 65619. The prizes awarded in this “drawing by chance” fundraiser have been donated by various champions of Man Up and Go. Participants are invited to choose boxes on the “Big Board” and donate or pledge to donate the corresponding suggested donation amount listed in the chosen box. Participants may choose more than one box. For each donation amount actually given or pledged to give (pledges are to be fulfilled in the year 2019), participants gain 1 entry into the FFFTBBF. (Example #1: Mr. Jones gives a suggested donation amount of $200 that corresponds with box 74. Mr. Jones receives 200 entries into the FFFTBBF. Example #2: Mr. Jones pledges to give a suggested donation amount of $100 that corresponds with box 54 at some point in 2019. Mr. Jones receives 100 entries into the FFFTBBF. Example #3: Mr. Jones gives a suggested monthly donation amount of $5/mo that corresponds with box 7. Mr. Jones would then receive 60 entries (for $5/mo x 12 months in 2019)). Participants are eligible to win up to 3 gift items only, regardless of the number of entries they garner, with the exception of the Grand Prize and the “party favor” gift items supplied by Man up and Go; all participants with remaining entries will be eligible for the Grand Prize and the party favors. Prizes will be awarded based on the amount of entries that exist at the time of the drawing. Drawing times are listed below. It is not necessary to make a donation or pledge to be eligible for the prizes to given away in the FFFTBBF. Physical attendees of our November 24 Fall Football Fling Thing event at Glory Days in Palm Harbor, FL, will be automatically entered into the drawing by chance. You may also request one in writing to: Man Up and Go | 2650 S. Francis Drive | Brookline, MO | 65619, or by contacting us via email. Requests must be received no later than 12 PM on November 23, 2018. Method of drawing will be conducted by Excel program constructed by an independent third party. Drawing will be done on Facebook Live to insure the integrity of the drawing. In person at Glory Days Grill between the hours of 3:30 PM – 9:44 PM on November 24, 2018. Participants are not required to be present to win. Winners present at Glory Days for the live drawing will be given prizes immediately. Those winners not present but who live in the Tampa Bay area will be contacted to find the best time/place for delivery of the prize. Those winners not present and who live outside of the Tampa Bay will mailed their prize in a timely matter. Please contact Man Up and Go for any other questions about the FFFTBBF at: 727.266.0226.